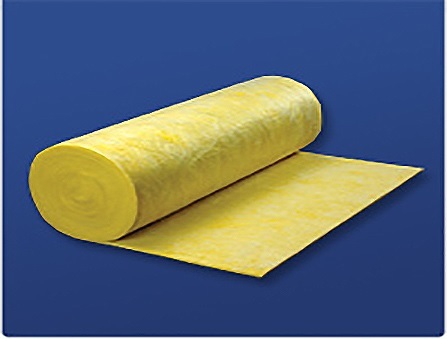 Tuf-Glas™Fiber Glass Insulation is a lightweight, highly resilient, blanket-type insulation made from borosilicate glass fibers bonded with a thermosetting resin. Tuf-Glas is designed to provide a rotary product with good core strength. Tuf-Glas can be used in a variety of applications that require good thermal and acoustical efficiency in a minimal space. The glass fibers in Tuf-Glas insulation are noncombustible and non-hygroscopic. Tuf-Glas does not support fungi or vermin, and is unaffected by oil, grease, and most acids. Tuf-Glas meets typical industry standard for tensile and core strength, which makes the product resistant to damage during lamination and installation. Because of its resiliency and flexibility, Tuf-Glas blankets resist settling, breakdown, sagging from vibration, and damage from impact. Tuf-Glas insulation conforms easily around corners and curved surfaces and is readily cut in die presses or with a knife. Available in different thickness and densities.